Craig is a hearing specialist and true professional, but nearly as important... he is a very caring, and concerned person. He will care for you just like you are family. That is a rare and amazing quality to find in any person - and Craig is indeed, rare and amazing. “A year ago, I came to your company for a hearing test. After my professional consultation and testing, I was fitted with perfectly selected hearing aids and was literally brought to tears when I was able to hear a whisper. In an age where so many are vying for a dollar, many don't care about customer service anymore. You have made me feel like I am the only customer. I wanted to let you know how happy I am with the help of my Sonic Innovations and that you have changed my life. I no longer need to use closed captions to watch my favorite television programs, and the volume is now satisfactory to everyone in my family. I have taken a part-time job and it is pure joy to converse with people and completely understand what they say the first time. I can make an appointment with ease and know that if I have a question, it's only a phone call away. I thought I should write and let you know how pleased I am with the product you have chosen for me. I could not have made these changes in my life without your help. I am pleased to let you and anyone else know that Premier Hearing Center is worth the trip—and I should know. I drive 70 miles one way to my specialist in hearing. “Wearing hearing aids is uncomfortable and can be embarrassing, but when you have someone who treats you as a person and makes your visits to the office very comfortable, it can make your experience so much more enjoyable, and that's just what Craig L. Rowland, H.I.S. did. From the moment I walked in until the end of the visit, it was pleasant and comfortable. Mr. Rowland did his best to make sure I could afford the hearing aids that best suited me and worked with me in my price range, and I received a 6 month supply of hearing aid batteries as a gift. This letter is our testimonial to the new Siemens Primax 7 Cellion Hearing Aids, the highest model. 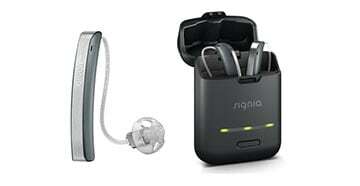 For the past 15 years I have worn hearing aids and thought I was hearing as best as possible. To my amazement, I had no idea that I could be hearing better than I had in those 15 years. For the past year, I have struggled to hear people’s conversations and telephone calls. Life had become quite empty and boring for me and my lady friend. After debating with my friend, I decided to hear her plea to be rechecked for my hearing. She had seen an advertisement about Premier Hearing Center in our local newspaper and thought it a good idea to check it out. So she scheduled an appointment with them. After a complete and thorough hearing examination, testing the degree of hearing loss, I was told about the Siemens hearing aids. The degree of hearing loss was more than I had anticipated, however, after the test with the instruments and the use of the Premier Hearing Centers aids, I was astounded as to how well I could hear. Without hesitation we decided these were exceptional and I was very pleased to be able to hear soft conversation from across the room. I hadn’t heard this great in more years than I could recall. The amount of room that remained for additional hearing left both myself and lady without a doubt that I should be utilizing this product. Because we had struggled with the last pair of hearing aids, that turned out to be nearly worthless, we decided to purchase Siemens Primax 7 Cellion rechargeable hearing aids, and we opted for the highest quality set to get optimal hearing. Craig Rowland was so efficient with the testing, examination and product choice, that it left no doubt for me that I wanted the best money could buy. The choice was simple. I can say unequivocally that I have never been happier with my hearing aids or the service I received from Premier Hearing Center. I recommend Siemens hearing aids to everyone who has a problem hearing. You won’t be disappointed.